As fall blows in to Portland with a gusty, wet force, I thought I'd share some favorites so far this season in the beauty and accessory department. Stay tuned for days when the weather is kind enough for outfit photos and I'm not inside and bundled in some joggers and a sweater. 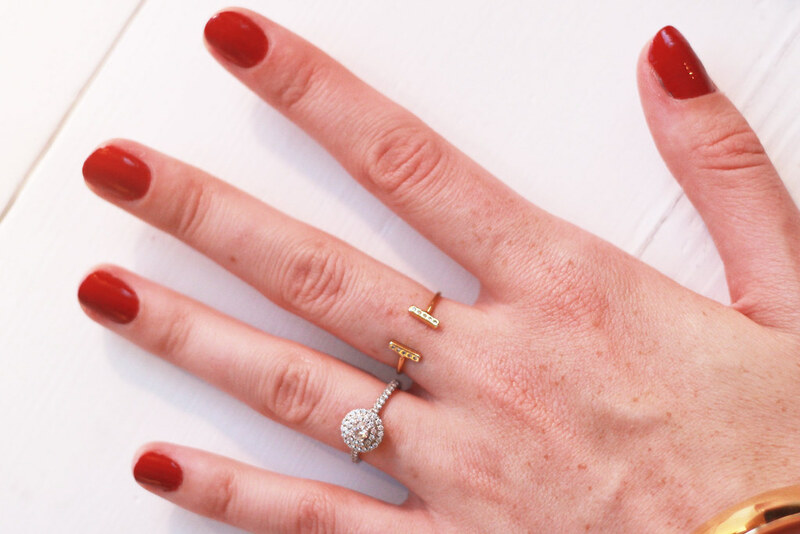 This new Gorjana ring care of my monthly RocksBox subscription ($19 a month for up to $200 worth of jewelry for loan) is the center of my jewelry accessorizing lately. I haven't returned the most recent box because I am waiting to buy the ring and can't give up all my pretty new gold pieces. I love how dainty the tiny rhinestones are in the edges of the cuff ring. Sign up for a free month of Rocksbox here and I bet you won't be disappointed. 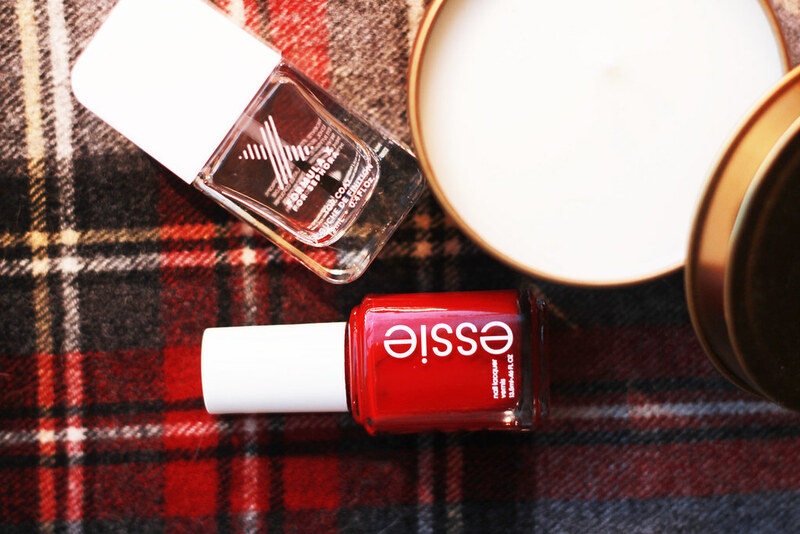 Naturally in a Target frenzy the other day (I was picking up some moisturizer and toothbrushes) I accidentally went straight to the nail polish aisle and scanned Essie's new fall colors. I have been adding a lot of navy blue, grey, red, and translucent pinks to my collection lately but was sorely lacking a vampy red. Naturally Dress to Kilt was sitting there, all pretty like, and I had to snag it. I am digging this color with my work attire (navy skirts and white tops, plus my gold jewelry phase all seem to go perfectly with crimson). What are your favorite current nail colors? I am missing a black, plum, and cashmere grey in my collection and have my eyes on this grey and this black, plum recommendations requested. I think you all know that I am a huge fan of the Formula X collection, especially their cleaner, base, and top coat collection. It absolutely keeps polish (any polish really, Essie, OPI, and their own Formula X line) looking clean and un-chipped for almost a week. 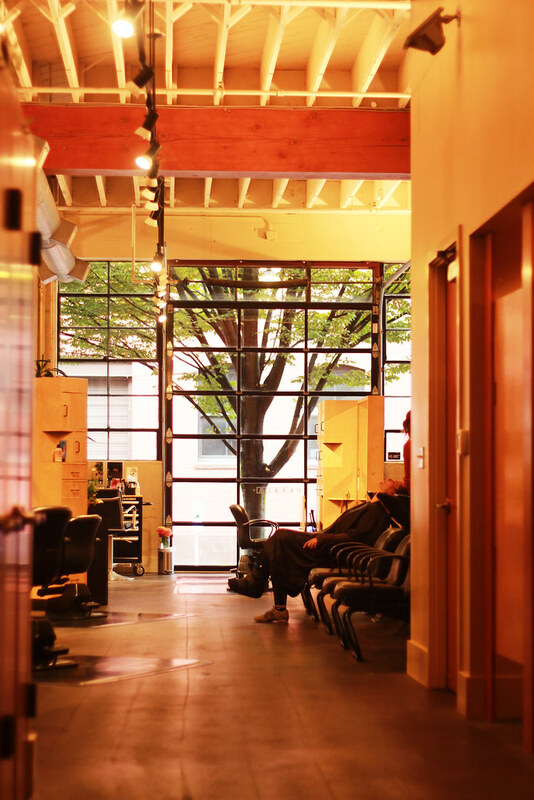 Finally, I had the amazing experience to go to Urbaca salon in the Pearl district here in PDX this past weekend. For the locals, it's right next to Pearl Bakery so you can snag sandwiches, treats and coffee on your way to or from getting your hair done. 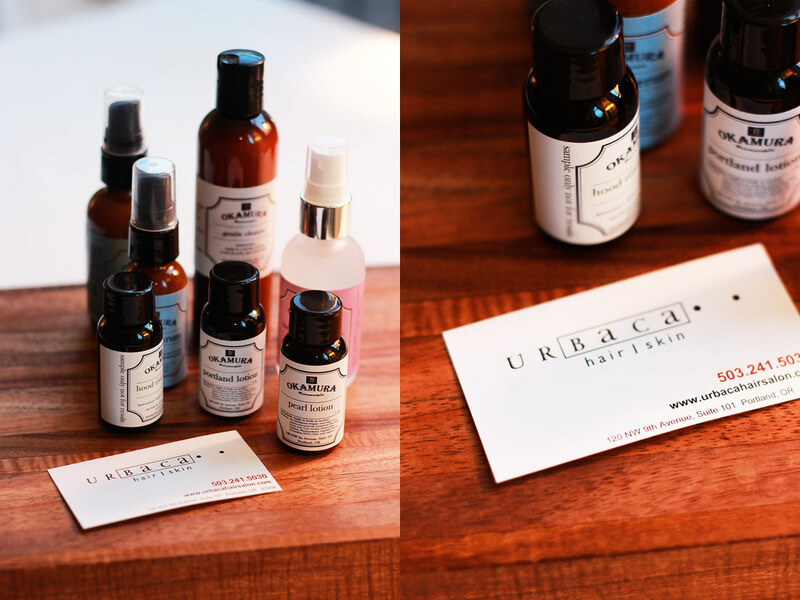 Urbaca ("urban pearl") is a well-respected, and quite frankly awesome, salon. I have only been to a few salons in PDX, two other Aveda salons, and was blown away by the service, decor, and customer service at Urbaca. 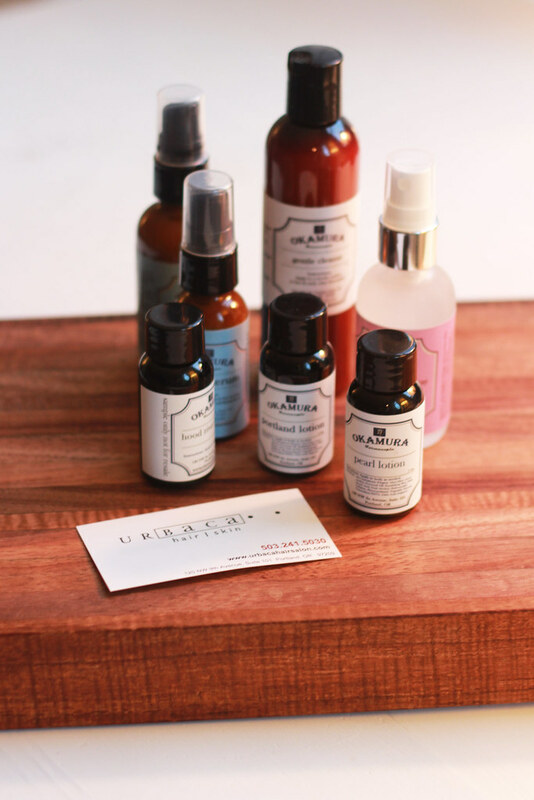 Sherry Okamura, the Salon Director, is not only a facial genius, but she has her own line of skincare products (pictured above). You can shop her collection of gentle, mainly organic and chemical free, beautiful products here. I would highly recommend the toner and the gentle cleanser. Sherry invited me in for a blow-out, hair-cut, and my first-ever facial. I am usually anti-anything-relaxing so I was a bit nervous, but it ended up being this absolutely transcendent experience. I first cozied up in a robe, listening to calming music, and then settled in to a gentle product cleansing facial. 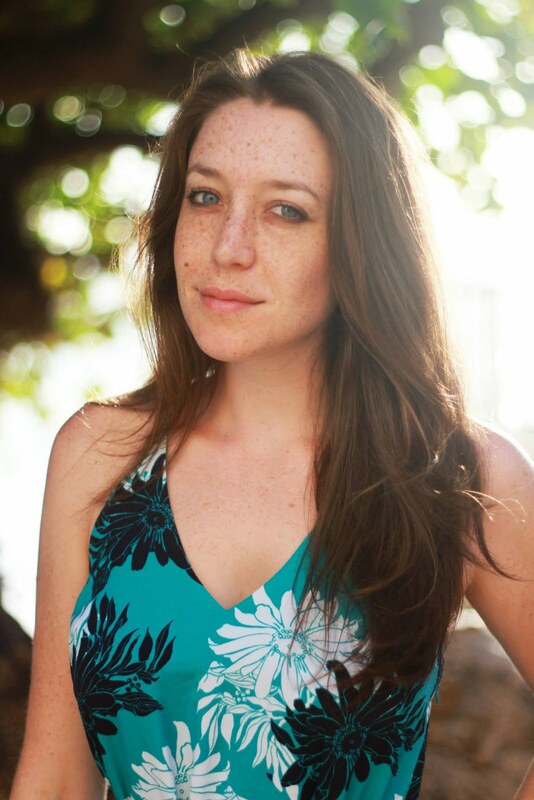 I have very sensitive skin and Sherry's products didn't bother my skin in the least, instead I left glowing and hydrated. 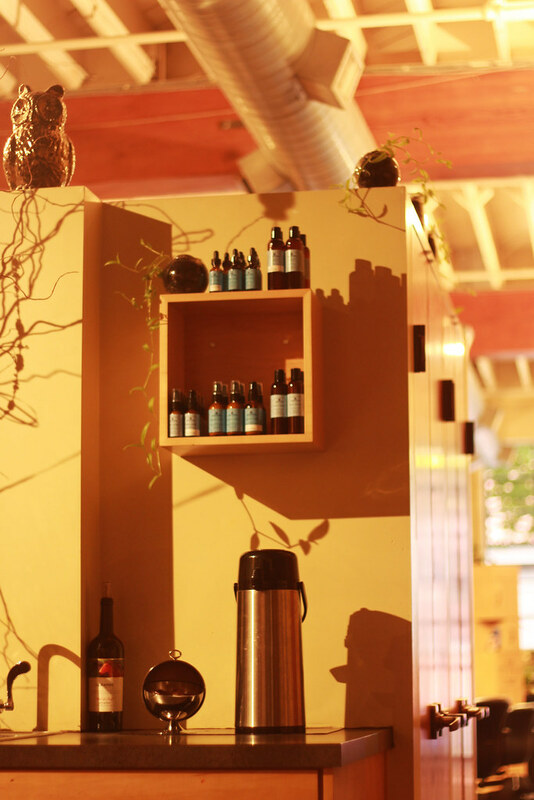 The facial at Urbaca also included a shoulder, face, arm massage and, last but not least, a chakra rebalancing. I found the entire process to be more calming than anything my high strung body has ever experienced and I am saving to head back myself and get Ben an appointment. I would highly highly highly recommend checking out this salon for the facials alone. I also had my hair styled last Saturday at Urbaca in some loose curls for daytime adventures and I loved the end result, but felt like I was so doped up on my relaxing facial that I don't even recall the styling process. Here here! 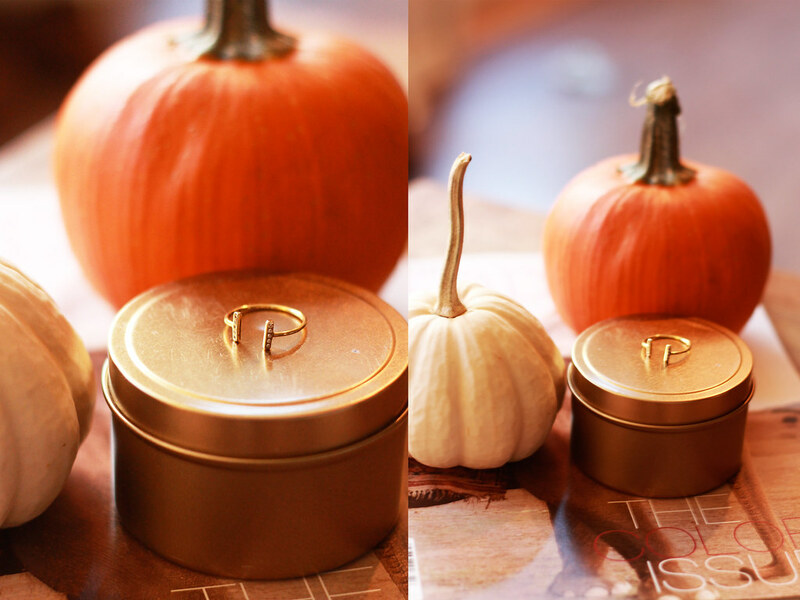 What're you enjoying this Fall? I'm in need of a nice simmer free, vampy red myself. I'll have to check this out. Didnt you love the facial?! 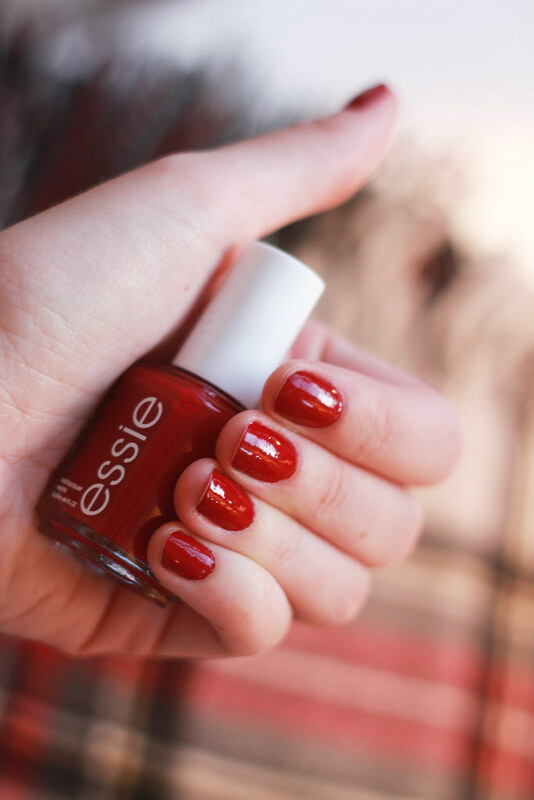 Love that red nails can be worn for Fall, Christmas, Valentines day, Fourth of July. There is never a bad time! I've never heard of the RocksBox service before. I'm curious to check it out after reading this post. That ring is beautiful! Gorjana is actually one of my favorite jewelry brands. I'll deff have to try that formula X. My nails always chip so quickly! Thank you for the love, Kelsey! Glad you enjoyed your time with us at Urbaca!